Purpose of Qualification: The Diploma in Office Administration Programme compliments the technical and employability skills acquired in the Certificate Programmes, providing a solid background of administrative management skills which will enable the graduate to grow and progress in today’s competitive business environment. Availability: Durban, Johannesburg, Pretoria, Kempton Park, Pietermaritzburg, Randburg, Cape Town and Bloemfontein. Registered with: The Institute of Certified Bookkeepers (ICB). Registered on: National Qualification Framework by SAQA. • Grade 12 or Equivalent or NQF Level 4 Qualification National Certificates. • Adequate language and numeracy skills are necessary. • Having information gathering, analysis and presentation skills required at exit level 4 on the NQF. • Be able to comprehend what they have learned and to communicate it reliably, accurately and comprehensively in the required medium of instruction. Minimum Requirements to complete the qualification: Pass all modules. Professional Designation: Successful candidates may register with the Institute of Certified Bookkeepers and use the following designation “Certified Office Manager” COSMIcb (SA). Only students who have passed subjects at Tertiary (post-Senior Certificate) level may apply for exemptions. Only subjects examined by formal academic institutions and recognised professional bodiesare considered, with an objective to ensure examinations and syllabuses are comparable both in standard and content, especially where an M+3 rating from the Human Science Research Council applies as stipulated below. • South African Universities (Bachelor Degrees and Higher Qualifications). (These universities should be affiliated to the South African Vice-Chancellors’ Association - formerly the Committee of University Principals). 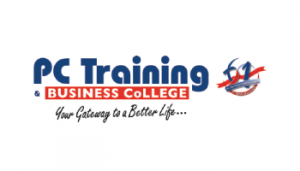 Contact PC Training & Business College.